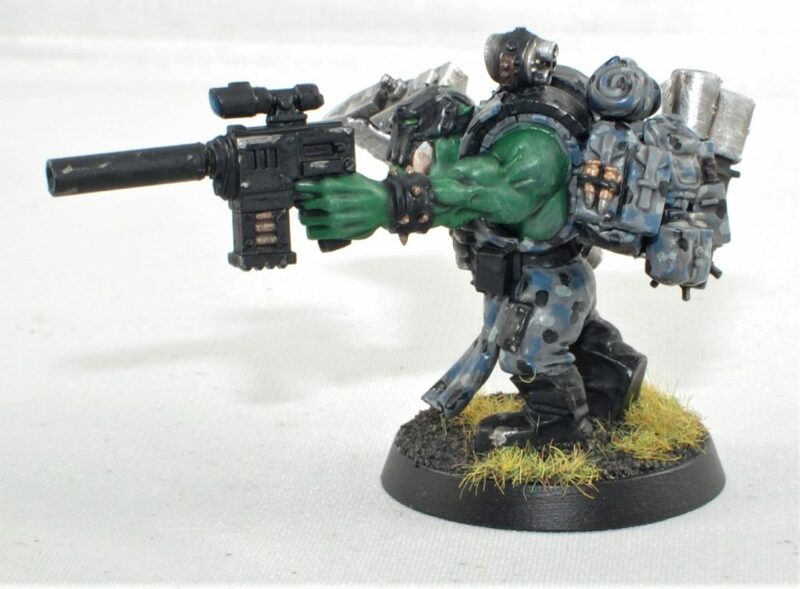 I have joined a Warhammer Kill Team Campaign. 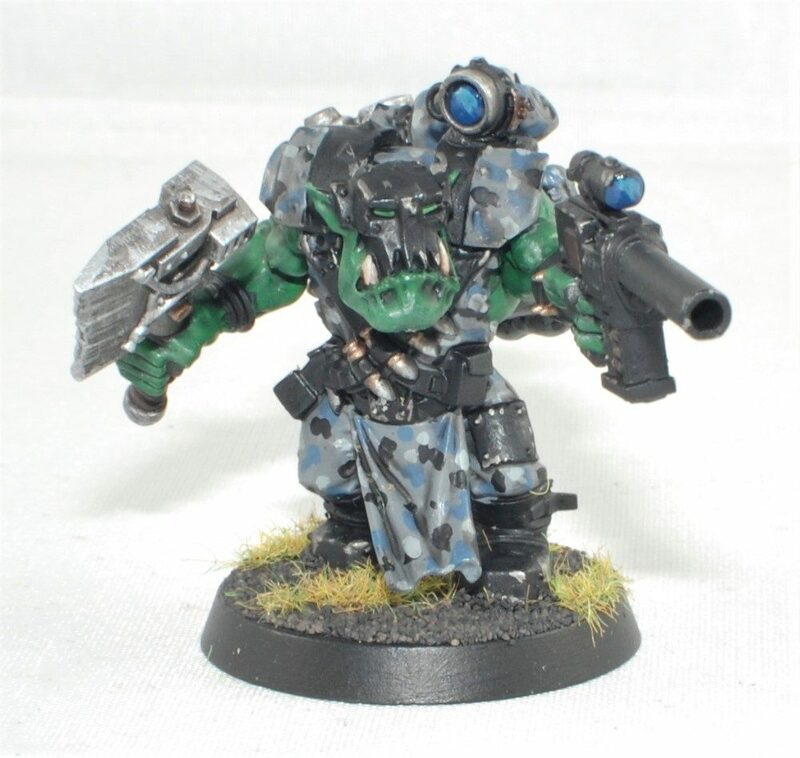 I decided to run Orks because I have a good number of models on sprue that needs to be used. I also thought it would be fun to paint them up with an urban camo theme. 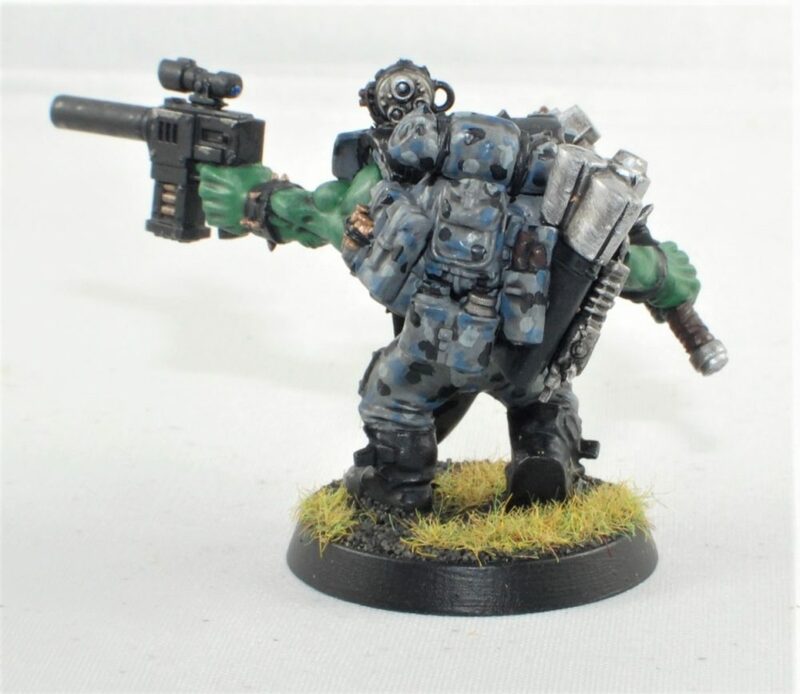 This is the first model I completed his name is Plisscaan, He was going to be my leader, however I changed him to a scout after a few games, because he needs to be in the fight and loosing the leader on the front line is detrimental to the team. 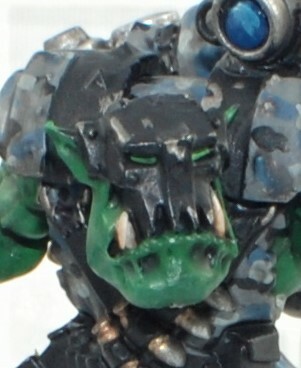 So I changed the leader to a Grot. 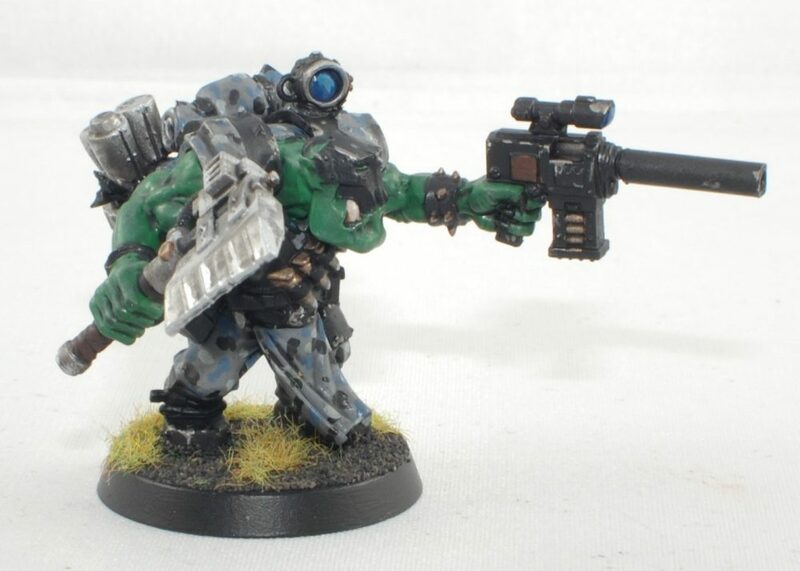 Yes I know very un-Orky.